Earlier this year Dr Adam Watson passed away after a short illness. As an ecologist, conservationist and mountaineer for more than fifty years he understood the Cairngorms better than most. STDZ have been given permission by The Guardian to publish an exert from Des Thompson's obituary. 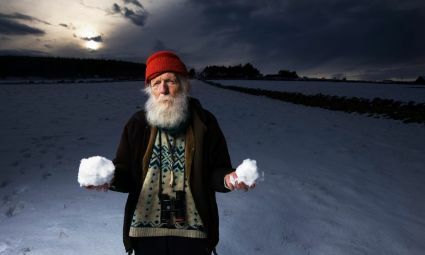 "Adam Watson, who has died aged 88, honed his exemplary skills as a field scientist and conservationist on the snowy and windswept tops of the Cairngorms, in the eastern Highlands of Scotland. Obsessive, authoritative, energetic and compelling in his approach, he spent decades in scholarly observations on nature and natural phenomena in mountain environments. Studying birds and mammals, soil erosion and snow patches, and developing unrivalled datasets on longterm changes in nature, Adam amassed a treasure trove of vital information on the impacts of climate change and human land use. By the mid-1960s he had written classic papers on mountain bird behaviour and ecology, and as recently as autumn 2018 he published a seven-decade study of the declining mountain hare population in north-east Scotland. 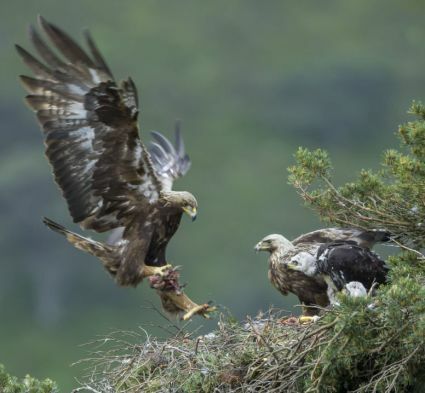 He also established Europe’s longest-running study of golden eagles. Influenced by the naturalist Seton Gordon, young Adam took notes on the occurrence of mountain “snow patches”, and by 14 was keeping a diary of snow events. This developed in the 40's into systematic monitoring of long-lasting snow patches in the Cairngorms, which continues to this day, with annual reports for the Royal Meteorological Society, in collaboration with the snow expert Iain Cameron. This gives a unique record of climate influences across Scotland’s highest mountains. His research on the elusive ptarmigan, one of the world’s hardiest birds, involved Adam ascending Scotland’s highest mountains each day, often consecutively, over several weeks, for 73 years from 1943. Sheltering in bivouacs, he would survey the summit plateaux and boulder fields, sometimes with pointer dogs, for every nesting bird, in order to develop an accurate population estimate, recording numbers, breeding success and habitat use. Born in Turriff, Aberdeenshire, Adam was the son of Adam Watson, a solicitor as well as a fine naturalist, and his wife, Margaret (nee Rae). He went to the Turriff schools, then took a degree in zoology at Aberdeen University, graduating with first-class honours in 1952, having studied ptarmigan winter ecology for his honours project. The explorer Pat Baird, having met Adam on Derry Cairngorm, invited him as his zoologist on an expedition to Baffin Island in the Canadian Arctic the following year. 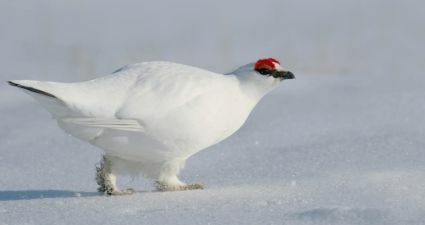 Adam subsequently returned to the island on a Carnegie Arctic scholarship, and took his PhD in 1956 on the annual cycle of the ptarmigan. The following year he joined the UK government’s Nature Conservancy unit of grouse and moorland ecology to study population changes in red grouse. Building on the 1911 Lord Lovat report on red grouse population fluctuations, Adam and his team led a new study in the north-east Scotland heartland of grouse moors. His Collins New Naturalist book Grouse (2008), co-written with a colleague, Robert Moss, provides the detailed findings. He continued to work in north-east Scotland for the Natural Environment Research Council (NERC) Institute of Terrestrial Ecology (now Centre for Ecology and Hydrology), even after retirement in 1990, when he was made an emeritus fellow. Adam’s conservation activism was sparked by two threats. The prospect of a major skiing development in the northern corries of the Cairngorms in the early 80s galvanised his study of human-related disturbance, in contrast to extreme weather-related impacts on mountain soil and wildlife. His research featured prominently in the Lurchers Gully public inquiry in 1981, which essentially redefined the nature of further ski developments in Scotland. The unstinting persecution of birds of prey on grouse moors was also intolerable for Adam. His record of golden eagle territories, with some suffering from interference each year since the 1940s, increased his outrage at the victimisation of these and other birds of prey. An outstanding mountaineer, climber and cross-country skier (the first person to ski-tour the six tops of the Cairngorms in a day, in 1962), Adam checked most of the cliff routes in the Scottish Mountaineering Club’s climbers’ guide, The Cairngorms, revised it in 1968, rewrote it in 1975, and repeatedly updated further editions. His north-east Scots burr, heard frequently on TV and radio shows such as Radio 4’s The Living World, concealed a scholarly mastery of Deeside Gaelic, which was to the fore in his textbook The Place Names of Upper Deeside (1984). Adam had a fascination for landmarks and features that each had a local name, and through talking endlessly with local people in Gaelic, he developed an encyclopedic knowledge of the cultural roots of the Cairngorms landscape. A scourge of what he termed “establishment” thinking and practices, Adam was vehemently condemnatory of anyone who did not conform to his understanding of nature, and unsparing in his criticism of traditional land managers and scientific competitors, regardless of their pedigree. Having published more than 30 books, and 600 papers and reports, Adam was possibly the most widely published ecologist in Europe. A fellow of the Royal Society of Edinburgh (1971), Royal Society of Biology (1980) and Royal Meteorological Society (2009), and of many international bodies, Adam held four doctorates and received several awards, including the John Muir Trust’s lifetime achievement award (2005). His portrait hangs in the Scottish National Portrait Gallery. Adam met Jenny Raitt in 1954, when she worked as a secretary to the agricultural statistician David Finney at Aberdeen University. 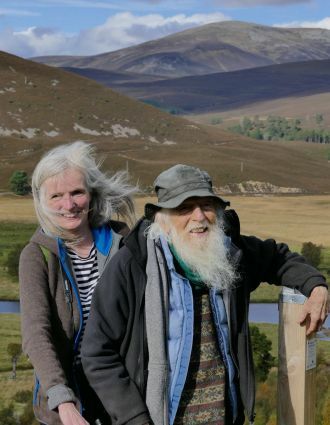 He was studying in the nearby department of natural history and, following a “hillwalking courtship”, they married in 1955 in Aberdeen, and in 1962 settled in Crathes, near Banchory, south of the city. Jenny died in 2016. Adam is survived by their daughter, Jenny, son, Adam, and two granddaughters." STDZ would like to thank The Guardian for permission to publish their article.